Vignobles Michel Gassier is a fourth-generation family vineyard located in the Rhône Valley of southern France. We recently asked owners Michel and Tina Gassier about some of the history and cultural influences surrounding their vineyards. We received a technical winemaking lesson, fun cultural insight, family stories, recipes, and of course some ideas on which of their wines to drink with those recipes. Michel explained how the Mediterranean provides a unique climate for winemaking: The Château de Nages has a deep rolled pebble soil with a nutrient-rich bed of red clay below it. When examining the soil to determine which grape varieties to grow, the family didn’t just copy its Rhône neighbors and plant only Grenache grapes. Rather, they took into account that the vines would be able to grow deeply in the rocky soil and the clay would hold moisture, two important factors in the success of the Syrah grape. 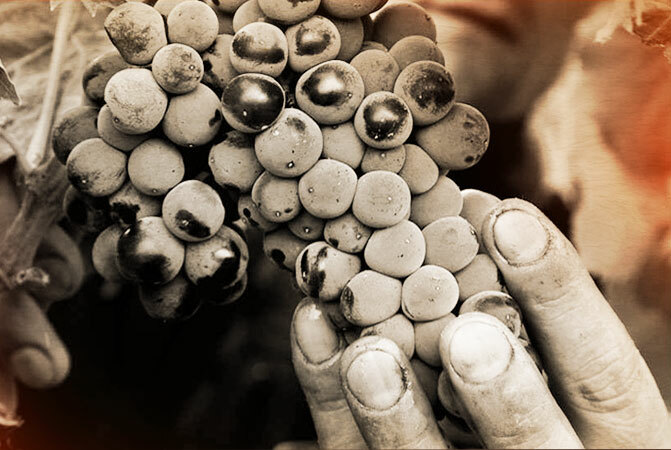 Today, Syrah covers 40 percent of the Rhone’s Costières de Nîmes appellation. Château de Nages Rouge Vielles Vignes (a blend of Syrah and Grenache) makes a delicious and satisfying pairing with the family favorite shared below. Thank you, Michel and Tina, for letting us into your family today. Place rack in center of oven. 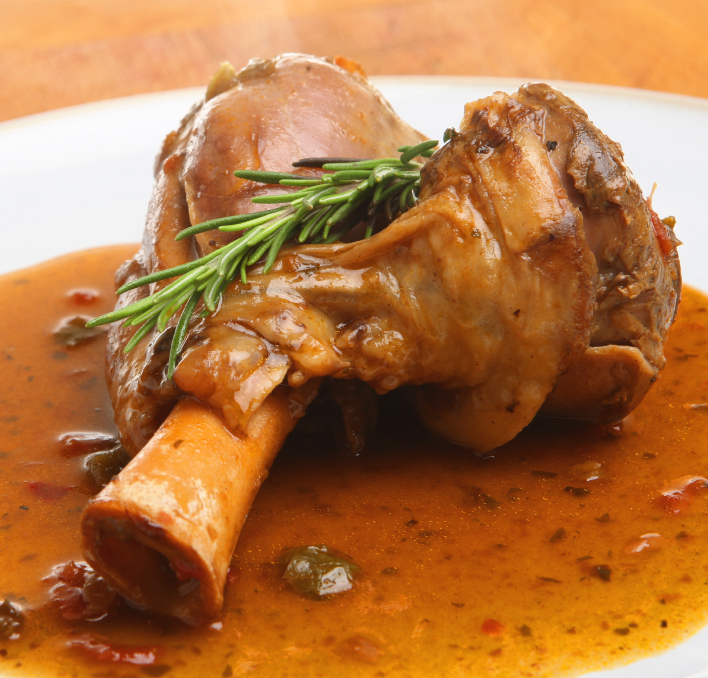 Preheat oven to 350° F.
In a large, ovenproof pan, brown the shanks on all sides in 2 tablespoons of olive oil. Salt and pepper. Remove shanks to a plate. Remove the fat from the pan. Sauté the fennel and onion in the remaining olive oil over low heat until lightly browned and caramelized. Add garlic and cook one minute. Return the lamb to the pan. Add tomatoes, star anise and rosemary. Bring to a boil over high heat. Cover and bake in oven for about 2½ hours, or until the meat separates easily from the bone. Add the beans and cook 15 minutes more. Remove the rosemary. Adjust the seasoning. Serves four. The combination of lamb with the finest quality vines are always be preferable in this culture, which is precisely described.